Brand consistency is incredibly important these days. Your business cards and printed materials should match your online presence. OSO Creative can help you with your company’s image. Whether you need a new logo and a whole new look, or are just touching up your brochures, let us help you get up to date! It’s important to clarify that we are NOT a printing company, but we do all the footwork before you get your printing done. We create the print-ready files, do the design, and coordinate with a recommended printer (or one of your choice). We’ll even pickup the printed materials and deliver them to you. Your logo is the keystone of your company's brand and is often the first thing your potential customers and clients will see. We can help! From brochures to postcards to signage, we can design and create your materials and even coordinate the printing process for you. 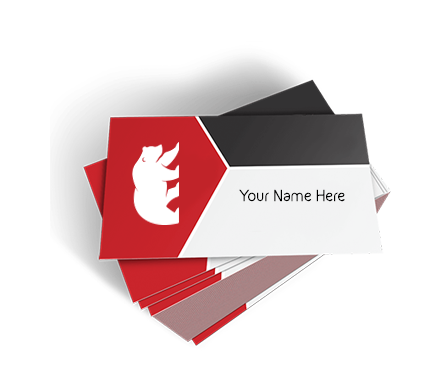 Perfect for networking, business cards are essential for marketing. There are many design options you can use to get your cards to stand out above the rest. A media kit can be a PDF containing a company’s logo and branding scheme, along with usage rules, spacing, colors, and best practices. Large format printing normally refers to posters, vinyl banners, or any large printed materials, super-wide or grand format digital printing. We have access to a database of literally over a million promotional product ideas. Let us help you brand your company in a unique, interesting way. Thousands of trade shows happen across Canada and the US every year, allowing buyers and sellers to meet face-to-face. Attend one and look great! Let us craft stunning business cards which you’ll be both proud and excited to show off.